Day 10 of #marchmeetthemaker is “Reducing Waste”. I’ve recently been trying to reduce the amount of unnecessary plastic in my products whilst also not increasing the price of anything. I currently use plastic free, cardboard packaging to post all my products, having phased out Jiffy bags last year. I occasionally need to use bubble wrap for my mugs but when I do I reuse the wrap that my picture frames are delivered in. Day 9 of #marchmeetthemaker is “Story Behind the Name”. Day 8 of #marchmeetthemaker is “Product Range”. My product range has expanded over the years and continues to do so. I started off just selling prints of the illustrations from my books. Then I added prints of illustrations I’d done just for myself. Then my wife and I decided to get serious about the online shop. 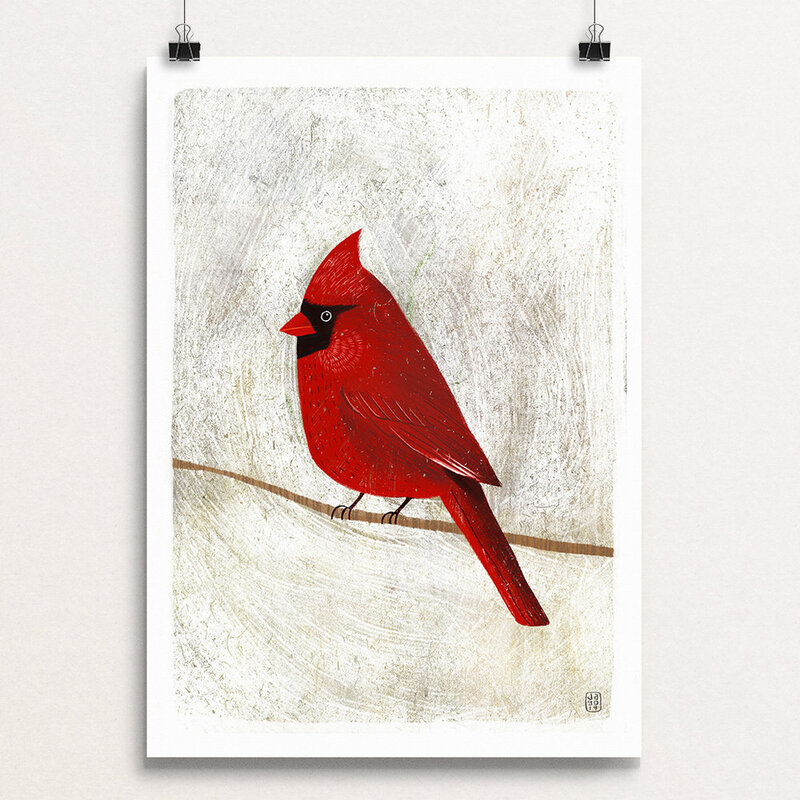 We invested in our own printer and were able to drop the price of our prints considerably. We began to get a lot more orders. I designed a whole range of notebooks which we offered in two sizes and we started selling greetings cards. Then we added pocket mirrors, badges and magnets to our range. These were all super popular and so we continued to add more products. Day 7 is “Less glam side”. I’m not sure what the glam side is to be honest. But backing your work up, whilst essential, definitely isn’t glamorous. Having worked digitally for so long, backup is something I take pretty seriously. So far I’ve never lost anything. I store pretty much everything in a 2 Tb Dropbox account and as I have more than one Mac at home this means I have an almost instant local backup. It also makes it easy to access all my work from whichever device I’m using. I started working as an illustrator before I graduated in 2003, I’ve been illustrating ever since. Over the past 16 years I’ve illustrated over 50 children’s books, mostly for the American market. I’ve also sold over 3.2 million books, a fact which continues to astonish me. In addition, I’ve illustrated for magazines and TV shows. These days I divide my time between working on books, working on smaller illustration commissions and working on illustrations for my own shop and range of illustrated products. I realise I am very fortunate to be able to do something I love for a living but I sometimes think people don’t realise how full time it can actually be. When you’re self employed, full time can mean literally all the time. From first thing in the morning before the school run until the early hours if there’s a deadline to meet. Weekends are sometimes hypothetical and school holidays are often just another working week. Being able to continue working even when you’re tired and fed up or ill and ensure you still respond professionally to clients is a skill that you have to develop and it isn’t always easy. You also tend to be responsible for everything, so while my job title might be illustrator, I’m also doing the accounts, marketing my work, promoting my shop, negotiating and communicating with clients and publishers, responding to endless emails messages and DM’s, coming up with new ideas, trying to learn new skills, printing and packaging orders, calculating overseas shipping fees and trundling off to the Post Office once a day. It’s sometimes frustrating to be told “how lovely” your job must be by people who have a stable monthly income, reasonable working hours and a pension, but having done it for so long now I can’t really imagine doing anything else. Day 5 is Detail or close up, so here’s a close up of a detail of one of my illustration. This was a twist on the Bear & The Maiden Fair from Game of Thrones recasting the maiden as a Brienne-esque warrior. Drawn in Procreate. I’m going to try to participate in this years March Meet The Maker. Day 1 is “Favourite to make”. My favourite thing to make is drawings, but as I make them digitally I suppose the closet thing to this is my prints. I produce all my own prints using an Epson SureColor 600 printer with pigment inks and archival paper. This means that my prints should last at least 50 years without fading (I’ll be 89 by then so hopefully I’ll be able to check). Here’s a few recent orders I printed today.